If you’re a digital or social media marketer who develop marketing campaigns that leverage on Facebook, you may want to build yourself another online profile. You may have heard of Facebook Studio – the online social network created the site as a place where creative agencies and marketers can deposit examples of great campaigns that leverages on the online social network to connect with audiences and have authentic conversations. So far Facebook Studio has over 750 examples submitted and approved from around the world, and Facebook also holds the Facebook Studio Awards every year to recognize and laud the best work in the field. 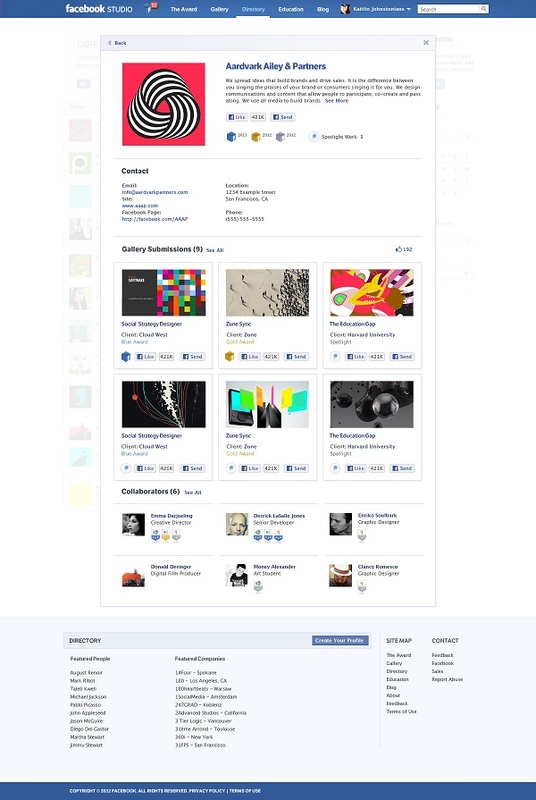 Agencies can create an online profile on Facebook Studio that shows off their creative digital work, along with any of the awards accorded by Facebook. These profiles go into a directory which is searchable and accessible, so you can preview the work. Creatives who have worked on those projects or campaigns can be “tagged”, so people know who’s been involved in them. Creative individuals can also build their own profiles – which is separate from their regular Facebook profile (although they can be linked) – so that they can be tied to the work they’re involved in. It’s hardly surprising that the social network company has come up with Facebook Studio and an awards program Facebook Studio Awards, which panders to that industry’s inherent need – and some say obsession – with winning awards. And having an online portfolio that shows winning work can only help to convince more clients to invest more of their marketing budgets online and especially with Facebook. The good thing about Facebook Studio though, is that due to the incredible social nature of the platform, it’s near impossible for creative agencies and individuals to fudge their credentials – they’d be called out immediately by colleagues, clients or competitors in the industry. And we think that is a good thing. 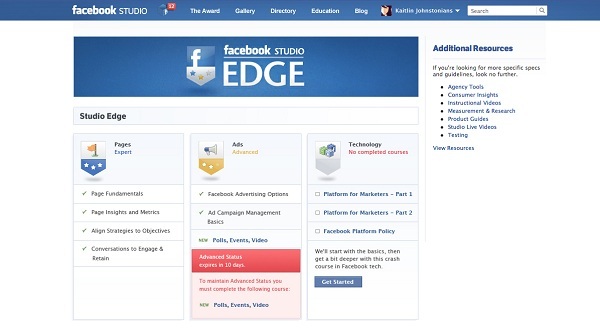 And to help build more credibility, Facebook will be introducing Facebook Studio Edge, a social learning and recognition program where creatives can be accredited by Facebook on their knowledge and expertise of using Facebook products. You’ll earn “badges” whenever a certain module is completed, and accreditation appears on your creative profiles so your employer – current or future – knows what capabilities you have, and whether you’ve been following up on the latest trends in the social networking and online marketing spaces. Aside from privacy issues, it’s hard to see why any creative wouldn’t want to get on this. 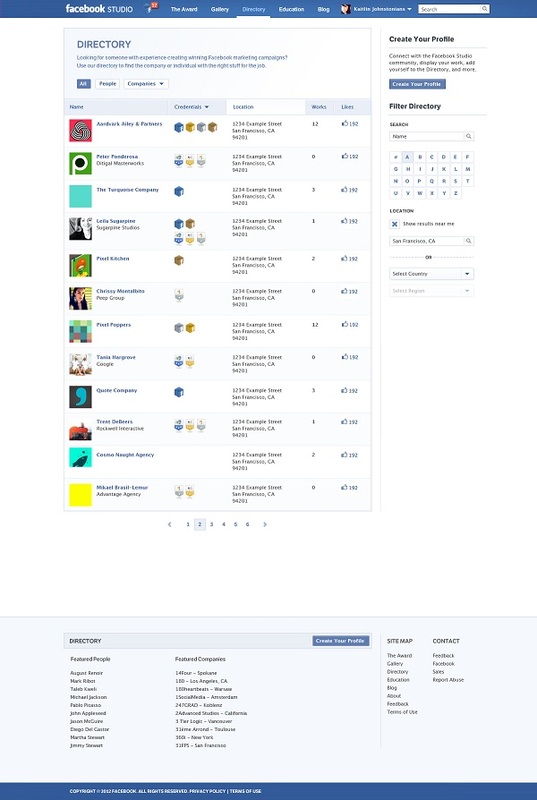 So if you’re a creative, from a creative agency or even an in-house marketer, you should start looking at uploading some of that awesome work you’ve been doing with Facebook on Facebook Studio.